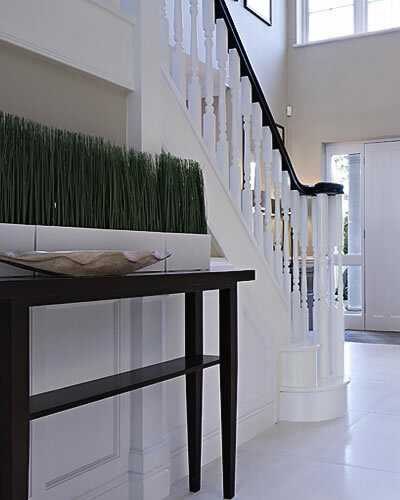 Complete Interior Design, Procurement and Project Management for an Entrance Hall and Landing in Cobham, Surrey. 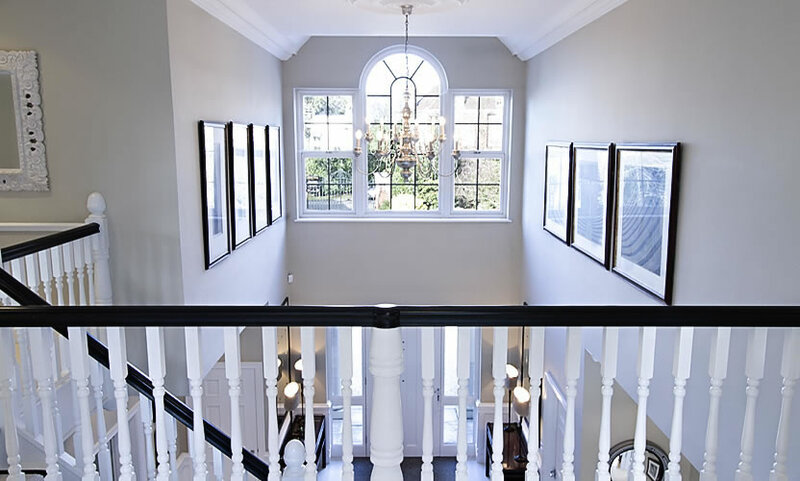 The brief was to create a contemporary, elegant entrance hall that made a statement first impression. We used a muted neutral colour palette accented with contemporary dark wood furniture and framed art to add contrast and elegance, with a pair of statement sculptural table lamps and wall mirrors above each console table on entry to enhance the space even further and mirror the beautiful architecture. A pair of chairs and a wall-wall fitted mirror were placed to furnish the empty space under the stairs & to give an extended perspective and double the space and light. 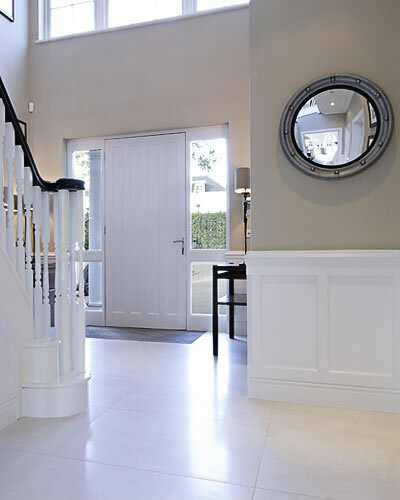 Creating a exquisitely elegant and contemporary statement entrance hall and landing, that also hints to the beautiful rooms to follow through the rest of the house.